When planning a kitchen layout, it is always recommended to organize by the work zones. 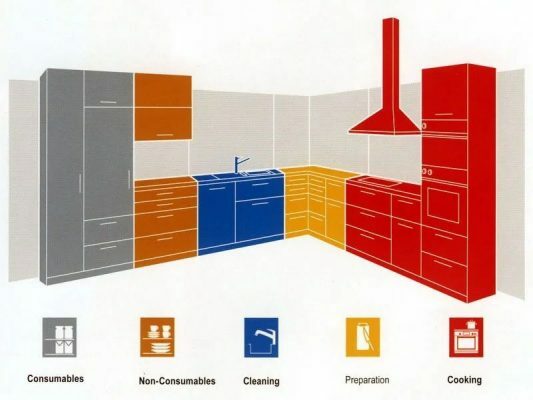 There are five major zones in a kitchen (consumables, non-consumables, cleaning, preparation, cooking). 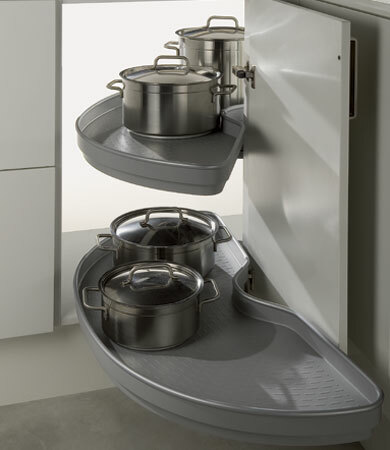 In order to provide effective storage, we recommend different storage solutions for each zone. 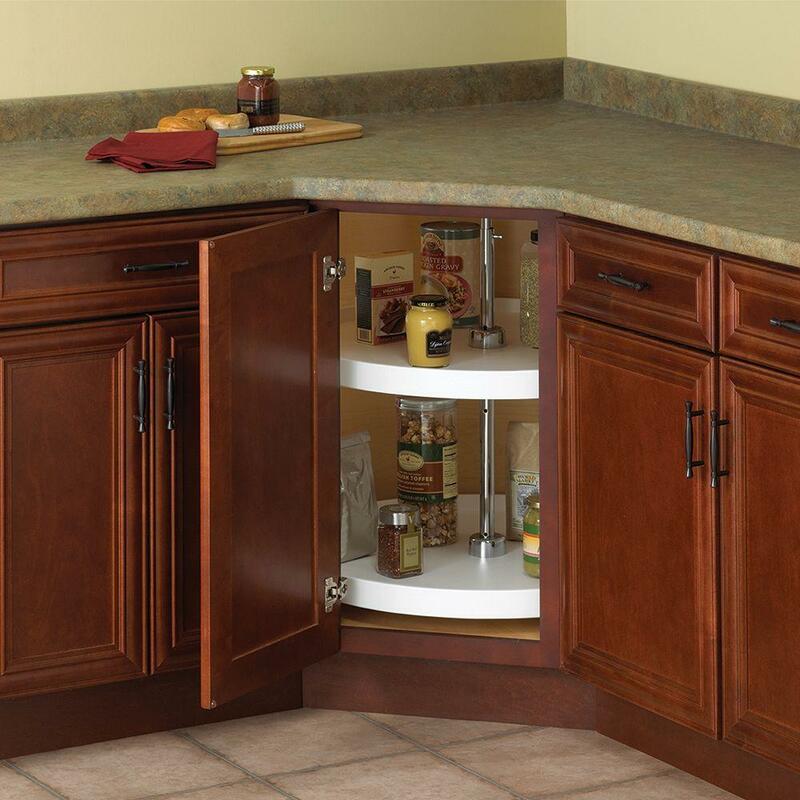 What are blind corner cabinets? Corner cabinets exist when two base cabinets are put together and you lose the inner corner space. Corner cabinets are considered the loneliest, darkest and remote space in a kitchen. 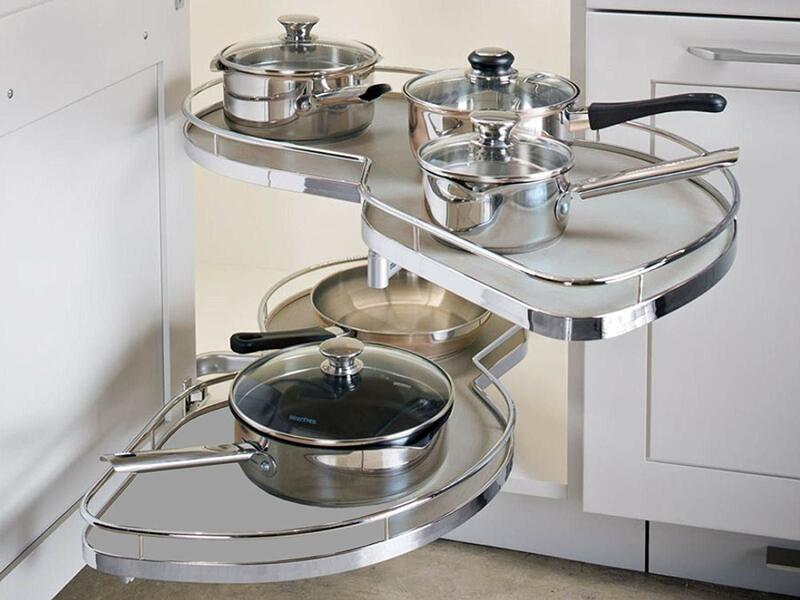 With their hard to reach angles,it can become frustrating for home users. 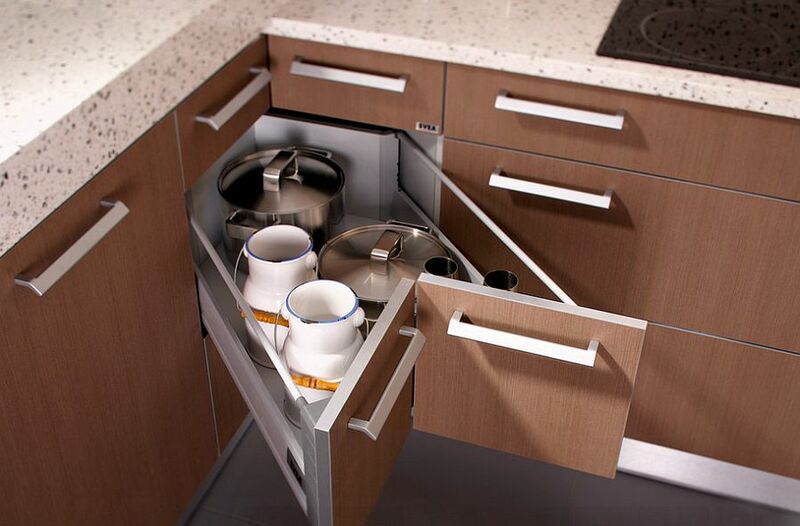 In fact, you may notice that corner cabinets usually are storage for unappreciated, underused and cast away items. 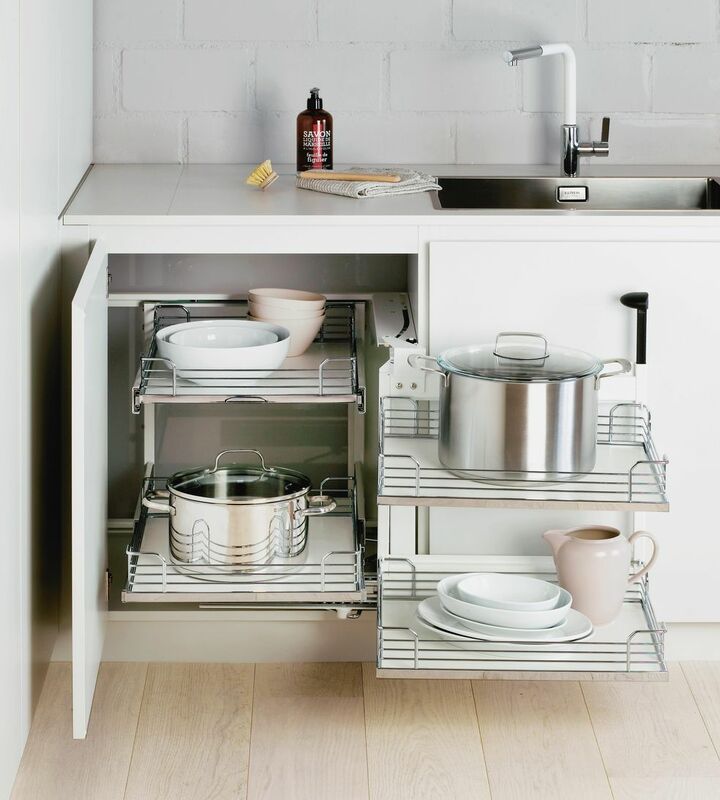 Deep: Regular base cabinets tend to be 24″ deep. However corner cabinets are usually 34″ deep. Dark: Lighting is usually non existent in the back of the cabinets. Inaccessible: Very hard to reach and fully access the back of the cabinet. Come visit our showroom and speak with one of our Kitchen experts about which corner system is recommended for your kitchen! We are conveniently located in Markham, allowing easy access from Toronto or surrounding areas of Ontario including Thornhill, Richmond Hill Scarborough, Stouffville, Newmarket, Pickering , Ajax, Whitby, Oshawa or even in Brampton, Mississauga or Hamilton.